17.5 Litre nestable and stackable Really Useful Box. Part of the Really Useful nestable range. The nesting facility allows the boxes to be stored inside each other when not in use or in transport. Comes complete with lid and locking handles. 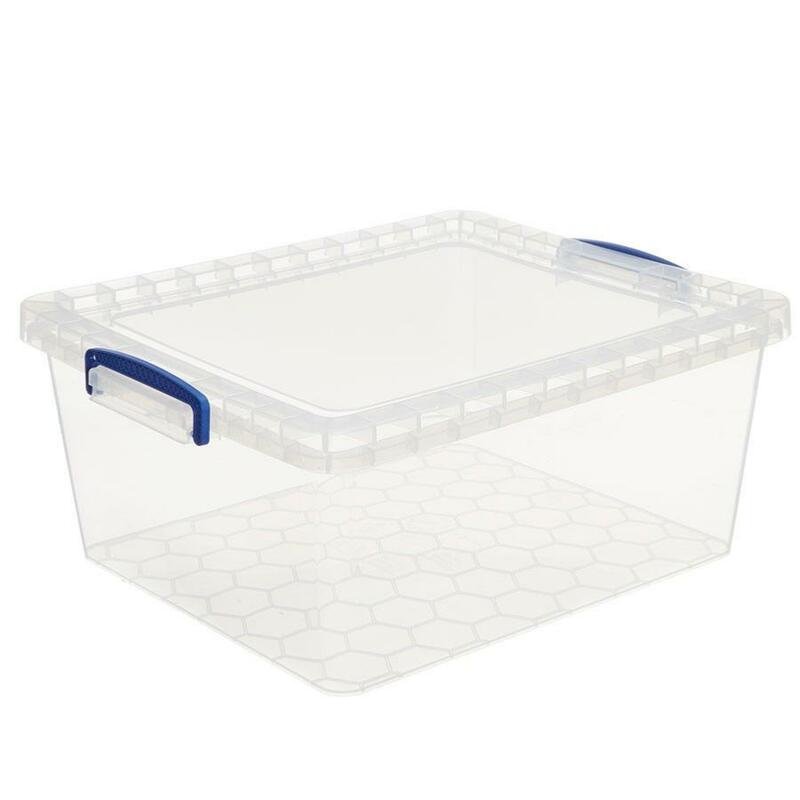 It’s perfectly sized to store bedroom, cleaning or office essentials, then you can nest it inside another box when not in use.